While in the Peace Corps from 1966 to 1968, he served in northern Costa Rica in a place called Las Lilas, which means The Lilies in English. While there, he worked as a rural community development worker. Forty years later, Las Lilas is where this group of TJC students and professors will have the opportunity to perform community service, including refurbishing a school Metke helped build in 1967. "It's a great, beautiful part of Costa Rica," Metke said. "Like any of us that have done service projects, understand that we got a lot more than we gave. Part of the Peace Corps mission was not only to help people and promote better understanding, a big part of that was bringing that back home. And I think it will be wonderful for our students to experience another culture and to be involved in a worthwhile project. A group of Tyler Junior College professors and students sets out this week on a 10-day visit to Costa Rica -- a trip that includes sight-seeing as well as community service in a remote village. The group leaves this morning for its journey and will be joined by TJC President Dr. Mike Metke, who traveled early so he would be there to meet the group when they arrive in Costa Rica. For Metke, the trip to Costa Rica is a return to a familiar place. While in the Peace Corps from 1966 to 1968, he served in northern Costa Rica in a place called Las Lilas, which means The Lilies in English. While there, he worked as a rural community development worker. Forty years later, Las Lilas is where this group of TJC students and professors will have the opportunity to perform community service, including refurbishing a school Metke helped build in 1967. "It's a great, beautiful part of Costa Rica," Metke said. "Like any of us that have done service projects, understand that we got a lot more than we gave. Part of the Peace Corps mission was not only to help people and promote better understanding, a big part of that was bringing that back home. And I think it will be wonderful for our students to experience another culture and to be involved in a worthwhile project. 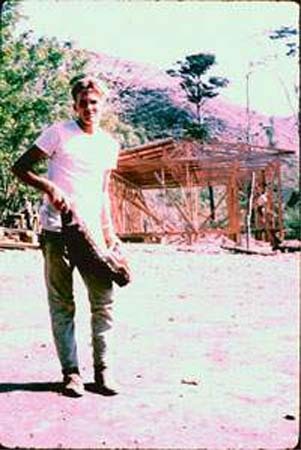 Metke, seen during his time in he Peace Corps in the late 1960s, helped build a school in Costa Rica. "For me it's special because I was a young person there. I was 19 and 20. It's going to be fun taking young -- and not so young -- people there." The TJC group will help paint, reroof and fix up a couple of schools in Las Lilas, Metke said, adding the students also will help a group of single mothers with a project they have raising and selling native plants. TJC hopes to establish a bigger service project in the future, he said. The group also is taking along donated items to the village including clothes, school supplies, shoes and stuffed toys. "It's going to be really well received," Metke said. "They're going to be tickled. Again, these are people who have very little, and they're going to be pretty excited." Metke and others visited the site over spring break to check out the project and to get set up for this trip. Metke also had visited in November. The TJC president knows people who still live in the village and is looking forward to being there with them again. "Some of them, we grew up together," Metke said, telling a story about one of his best friends there who had a team of oxen and brought in supplies for other people and set up a little store. "It was amazing to see the entrepreneurial spirit even back there in the rainforest." Metke said he'll most enjoy being there with TJC's students and teachers and "being able to see the country through their eyes too." The village does have some running water and electricity, but Metke expects it will be quite a shock for students. "We're going to be back in the rainforest in a very remote and inaccessible area that tourists never get to," Metke said. "The people we'll run into have never really, except for me, probably met or had contact with Americans. So I think it will be a great experience." John Hays, director and instructor for the foreign language program at TJC, who also served in the Peace Corps in Paraguay, is one of three faculty members at TJC going on the trip to Costa Rica. Hays traveled to Las Lilas with Metke over spring break. He said for the most part they are trying to establish a program with this trip, calling this visit just "a beginning." They want to provide students a relationship with this small school and rural area "that gives them an insight into the rest of the world," he said. "If you take a microcosmic look at the international scene, you start to understand the macros of it," he said. "If you have a relationship with a small town where the people are still living very close to the earth, that kind of understanding broadens out and gives that student that perspective (of), 'Well, I want to learn more.'" Hays will teach Spanish on the bus, he said, which will serve as a continuing education credit. Other professors also will be there to help with other aspects of the trip, including a specialist in ceramics and a naturalist, Hays said. He hopes students will walk away from this trip and "have a very personal connection with Latin America" and that in days to come, "their world view has been broadened just a little bit," he said. After a couple of days of community service work in Las Lilas, the group will go on to sight see and participate in optional activities such as a river tour in which students can see wildlife, a canopy tour with zip line, scuba diving as well as shopping and touring museums. Metke said he will return home after the community service work. The rest of the group returns May 19. From past experience, Metke said that it is often the service project that is the most meaningful and long lasting for students on trips such as these. "They'll see Costa Rica like tourists, but I think the part they're going to appreciate the most is the service project," he said. TJC student John "Red" Wilford, 21, is one of the 11 TJC students making the trek to Costa Rica. Wilford said he is hoping to experience the language and a new culture but also saw this trip as a way to help people. 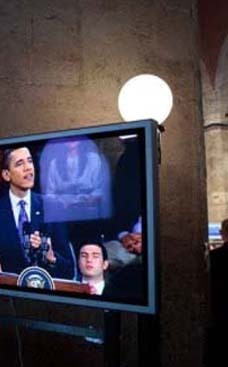 He sees this as a chance to see a place and a way of thinking that he has not been exposed to. "I hope to not only get over there and see Costa Rica, but I hope to meet people â�?» and maybe make some connections and help some people along the way," Wilford said, adding that he thinks community service can be fun. Metke said he hopes this is a start of an annual project and possibly also a future partnership with The University of Texas at Tyler, which is helping sponsor the soccer team in the village. "I think it's just a terrific chance for students from Tyler to have an international experience, see where they fit in a much bigger world," he said. "These kinds of things tend to be life changing for lots of us who've participated. That's what my hope is -- that we'll do some good there but also change lives here and give people a whole different perspective and set of experiences."